I started playing January 2007, so I was able to experience most of TBC, except heroics and raiding. I can point out Illidan from a lineup of night elves, but I can’t tell you even the basics of his story. If given a hint, I could also probably regurgitate that his last name is Stormrage (I keep forgetting). In Wrath, I feel like I know more about the story of Arthas and the Lich King. I would be able to give a basic timeline of events leading up to his sitting on the Frozen Throne (and what happens after his death). I think the ICC 5-man dungeons really helped solidify the backstory to fighting the Lich King. Of course, there are parts of the story that I probably don’t know anything about. For example: Sylvanas’ interaction with the Lich King pre-Cata was always a bit fuzzy for me and the bosses of Icecrown Citadel. I couldn’t tell you about any of them. Now with Cataclysm, there’s Deathwing. I know he’s the big, bad “end of the expansion” boss. I’ve learned from the 4.0 patch/expansion release cinematic that Deathwing was underground but now he’s breaking out to wreak havoc on Azeroth. But why? I buy your reasoning, but without reading your post, I would still be unsure. The quests in Cataclysm don’t really explain why he’s such an a-hole. Totally right, Bug. 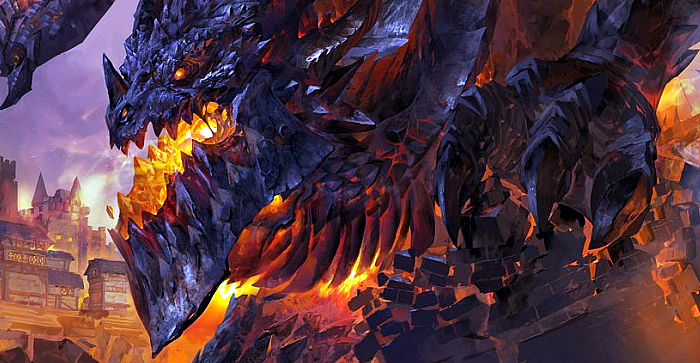 Deathwing was at his villainous peak (in-game, not counting the books) when the Cata trailer was released. He was awesome, he was dangerous, he RUINED THE WORLD. 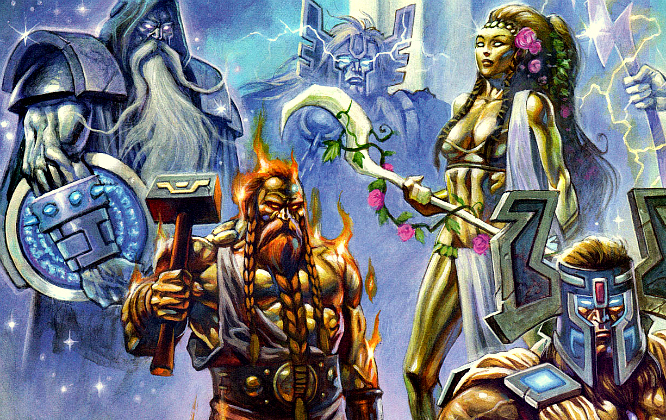 People were genuinely upset at the loss of the Loch Modan dam, the destruction of Auberdine, the crushing of Stormwind (and DANATH TROLLBANE’S STATUE). But since then? He’s basically done nothing. Nothing that really concerns us, anyway. He squabbles with Alexstrasza. Ho Hum. He summons Ragnaros back. Sigh, again? Come on DW. His Badlands quest with Rhea has been the only time, to my knowledge, that players have actually felt a personal desire to kill him TO KILL HIM, and not just to get his purples. Empathy is a powerful device, and while it was mostly absent with Illidan, we still felt it. It was HUGE with Kael, and it showed. And of course there was no end to it with Arthas (though other elements were overdone.) I think you’ve hit on a nice point with Deathwing – we just don’t care about him right now, because he’s just a big Godzilla guy. If they were to play up his never-really-discussed past, and how/if his corruption really IS tragic and destined like you describe…well, it’s no Arthas, but at least it would be SOMETHING. Judging from the 5-mans and raid, I don’t know if we’ll see any of this…or if Deathwing will get rounded out as a villain at all. It’s not really looking like it. But I guess we’ll see.